A man soaks a puppy in gasoline and sets it on fire. Two hours later, thousands of families’ homes are in flames. We Effect´s Teody Gacer decided that evil people should not win and went to lie down on the highway to save her home. The super city of Metro Manila is today home to well over 20 million people. Many come here to leave poverty behind in the countryside, but often they find themselves living in very bad conditions. Electricity, toilet, clean and running water? Forget it. But, it is their place on earth after all. In the alleys, the children learn to cycle, in the river they take their first swim. In the neighbourhood church a young couple marries. In the evenings, the barbecues light up and behind the metal façade you hear the sounds of karaoke machines. It’s home. And as long as there are no alternatives, the families will stay put. But there is a major problem, their homes often sit on land that someone else wants. To build luxury apartments or exclusive shopping malls none of the current people in the neighbourhood will ever be able to afford. The residents of these informal settlements rarely own their homes, in accordance with the law. Teody Gacer, 61, is one of hundreds of thousands in Manilla who have gone through this. She was born and grew up in the province of Leyte near Ormoc City, and went to Manila to explore opportunities in the city. Her family moved to an informal settlement in Quezon City – home of about 3,000 residents. The land where this district was located was later bought by a company that wanted to build a new business district. – They offered us to move to other homes, but the compensation was low and the new homes were three hours away. How could we have left our jobs then, how would the children go to school? It was not realistic. Forcing people to move is a difficult and expensive process that can take several years. Therefore, unscrupulous companies can let someone solve the problem in one night. – They soak a cat or a dog in gasoline and sets it on fire. The panicked animal then runs into houses and alleys and lights everything along the way on fire. In a matter of hours, thousands of houses can burn up, Teody says. To act like this, or to pay a family to light their house on fire, is unfortunately a proven method. But it is less common practice to do what Teody did, not letting the companies or authorities get the last word. When her family and the other residents in her settlement were about to be evicted, she decided to fight for their rights. 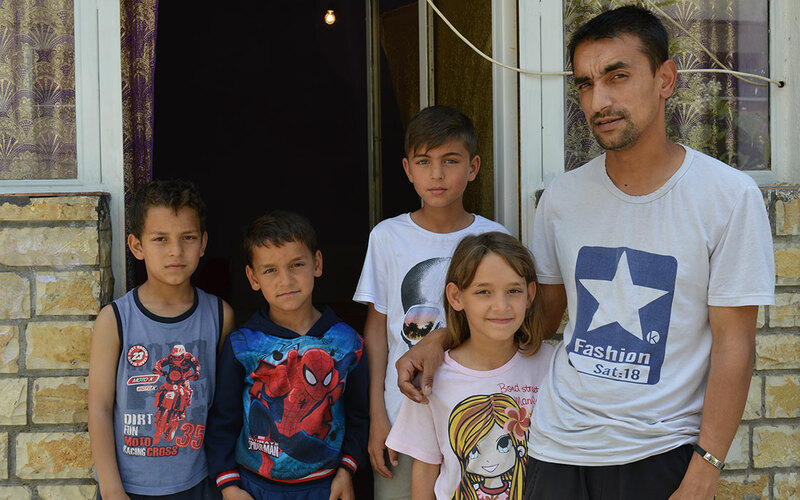 – We asked the authorities to find a good housing alternative for us, where we could keep our jobs, and kids could stay in school. Teody started out using traditional methods, angry letters and lawyers. When they did not see any other way out, she came up with a different idea. Above the settlement, a vital pulse swept through the city. One of Metro Manila’s largest highways, the Epifanio Delos Santos Avenue (EDSA). – The strategy was that we would do it together. Almost everyone in the area went up on the highway. We lay down and refused to move. We felt we had no other choice, says Teody. Thousands of breaking cars, buses and trucks quickly created giant queues. Protestors and police collided. Rocks flew through the air. Water cannons shot cascades. The city was paralyzed. But Teody and her neighbours did not give up. – After 30 minutes, we were promised that we would get contracts for real housing in a newly built area. Next year, six years after the highway protest, Theody and her neighbours will be moving in to their new homes. 1 100 families will live behind white facades, in modern apartments with real toilets, lamps to do homework after sunset, and kitchens with running water. With legal leases. Today, Teody is responsible for gender and health issues of their housing cooperative in Manila. She is dedicated to give more women courage and power to change their lives and others. 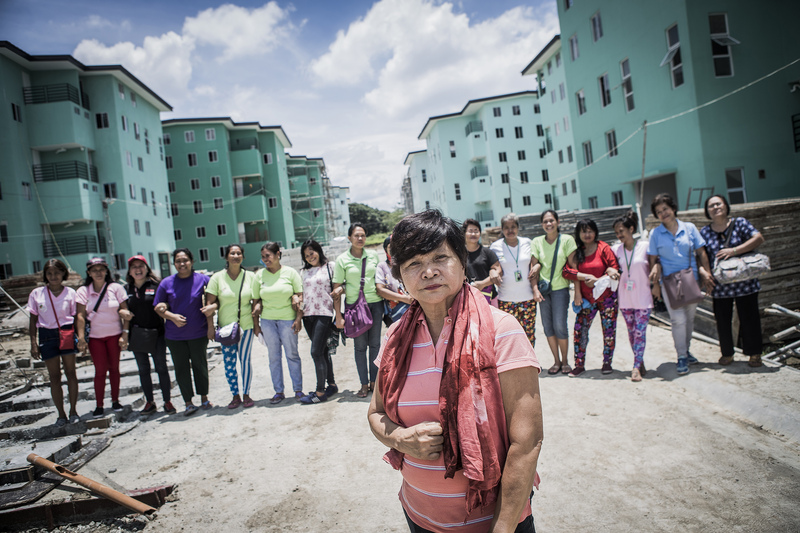 – I wish our next president will be a woman who listens to women and understands that the housing situation in Manilla can be resolved more intelligently. Today there are a bunch of thick skulls that control the country. We Effect supports several housing organizations in the Philippines. The support goes to creating safe, secure and storm secured homes, both in Metro Manila and on islands that regularly suffer from typhoons. Supporting women like Teody, and working for gender equality, is an important part of We Effect’s work on housing. Today, women have 65 percent of all leadership positions in the organizations We Effect support on the Philippines, more than double compared to 2014. Now, 865 women have different leading positions in cooperatives and partner organizations that We Effect supports in the country.